Debby Elley's latest book is a sweet treat, offering a valuable perspective on autism and acceptance. Since being appointed as a teaching assistant at a secondary school with a large SEN department, I have worked with a lot of brilliant children who happen to be autistic. Having had limited experience in how best to support these young learners before I was appointed, I decided to do some reading of my own. 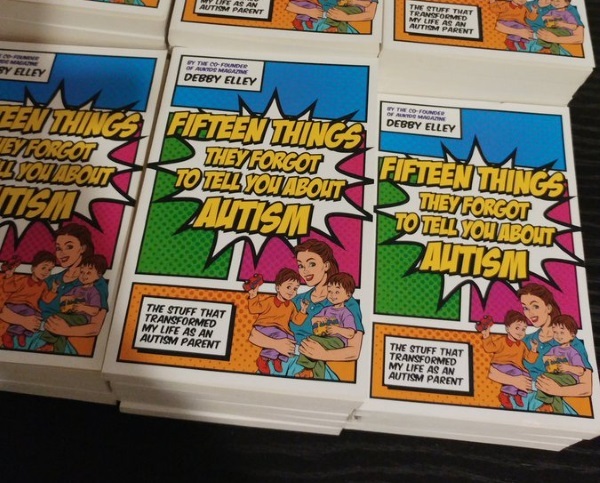 A book that was recommended to me shortly after my interview was Fifteen Things They Forgot to Tell You About Autism: The Stuff That Transformed My Life as An Autism Parent. The author, Debby Elley, is co-founder of the award-winning Aukids magazine, and coincidentally one of the amazing parents with whom we work at Priestnall! Fifteen Things… is a witty, down-to-earth book about Elley’s experiences as a proud mum bringing up her twins, Alec and Bobby. Both have autism, but the two boys could not be more different from each other. I can honestly say that this book was the perfect place to start. Elley provides a heart-warming insight into her family life, alongside tips and strategies for accepting an autism diagnosis, dealing with ‘meltdowns’ and much more. It’s an invaluable read if you are a parent or carer looking for more information and a real personal insight into the reality of autism within your family. Nowhere in the book does Elley claim that raising a child with autism is easy, but the approach to explaining the condition is altogether positive and refreshing. Perhaps the most important section comes in the first two chapters, in which she looks beyond the traditional definition of autism. When a child is identified as having autism, the ‘diagnosis’ (a term Elley steers clear of) is typically presented as some sort of medical condition, as though there were something ‘wrong with them’. This can be incredibly intimidating for parents, who jump immediately to conclusions about their child’s future. Instead of relying on traditional medical jargon, through her own research Elley has devised the ‘pick “n” mix’ analogy – the idea that even though all autistic people have certain traits, there are more that affect some but not others. Like all human traits, she points out, some are positive and others are negative. This is incredibly important to keep in mind during the ‘diagnosis stage’, when it is often a focus on those negative traits. Refusing to accept that the scientific definition of autism is the only method of explanation, Elley (alongside co-editor of Aukids Tori Houghton) has constructed the autism sundae dessert, a new spin on the initialism ASD (for autism spectrum disorder). Designed to help explain similarities among people with autism to the outside world, the autism sundae dessert is also a fantastic way to explain autism to children with none of the negative connotations attached. 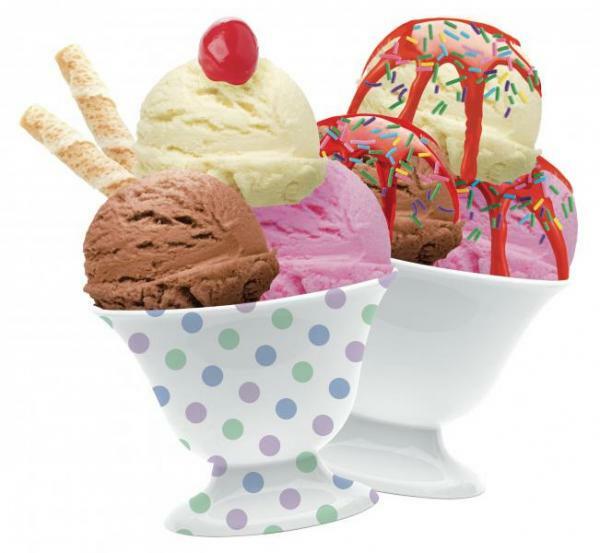 The sundae is made with different flavours and scoop sizes of ice cream, to reflect how much autism can vary. The sauces represent any sensory difficulties or unrelated secondary conditions a child may have. All the positive aspects of autism that can be overlooked – honesty, originality and dedication to name but a few – are represented in the sprinkles. The cherry on top signifies the amazing talents many autistic people have. Elley’s autism sundae dessert is a brilliant creation, not only because it helps parents explain to their children why they may think or act in certain ways, but because it also allows those with minimal knowledge (such as myself at the time of reading) to understand these traits without having to Google every medical term used, and often thinking misinformation is fact. As Elley rightly states, professionals can’t just talk about autism in abstract terms and expect ordinary people to get it. An optional addition to the autism sundae dessert is the chocolate Flake, which can be added or taken away depending on a child’s behaviour. Elley notes that, contrary to popular belief, autism and challenging behaviour do not come hand in hand, and that when a child’s environment does not cater to their social and sensory difficulties, this can cause the behaviour. One specific myth that she takes to task is that people with autism have no social skills. Like clay, autism is malleable, and as a parent you can shape your child so that some of their difficulties affect them less, ‘leaving those positive aspects of autism to shine freely.’ Elley has taught her son Bobby the social skills he needs to survive, referring to them as ‘extra life lessons’. By talking to him about his ‘specialisms’ (the subjects that he is most knowledgeable on, such as Pokémon) he has learned how to have a reciprocal conversation. In hindsight, this makes perfect sense – I would much rather have a conversation with someone about things I find interesting (like History), rather than mundane topics such as how my day is going. What makes Fifteen Things… so unique is Elley’s writing style. She tackles so many sensitive issues that parents of autistic children deal with on a day-to-day basis, while using humour to make it more light-hearted and relatable. One of the key messages that you take home from Elley’s work is that a sense of humour is essential for ‘staying sane’ when you have autistic children. Without a doubt, one of the highlights of this book are the ‘Bobbyisms’: funny, witty phrases that Bobby has come out with throughout his life. A personal favourite of mine has to be ‘You don’t have to look cool to be cool’, something we can all learn from! Although laugh out loud funny at times, Elley does not sugar coat things, acknowledging that there will always be times when autism makes things hard, and this is where her advice comes in handy the most. Given that Elley’s work is so accessible, you don’t have to be an expert in autism to read this book. It is perfect for parents/carers, families, and teachers, as well as support staff and deserves to become the go-to text for anyone interested in learning more about autism from invaluable first-hand experiences. Read Debby's speech from the launch of her book.